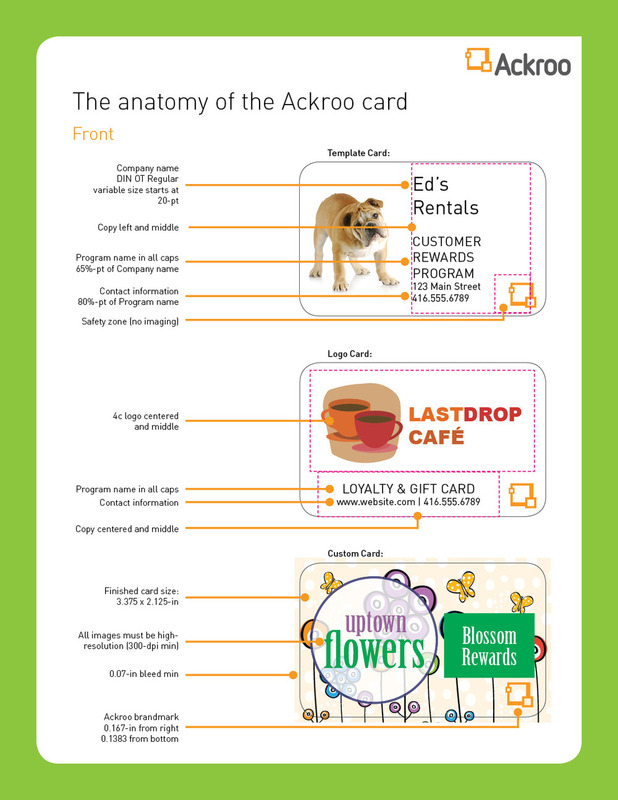 Ackroo is a loyalty programs company in the SMB space. Their CEO reached out to me to help setup their marketing services program using my agency and marketing operations background, with the intent to increase wallet-share from current and new customers. 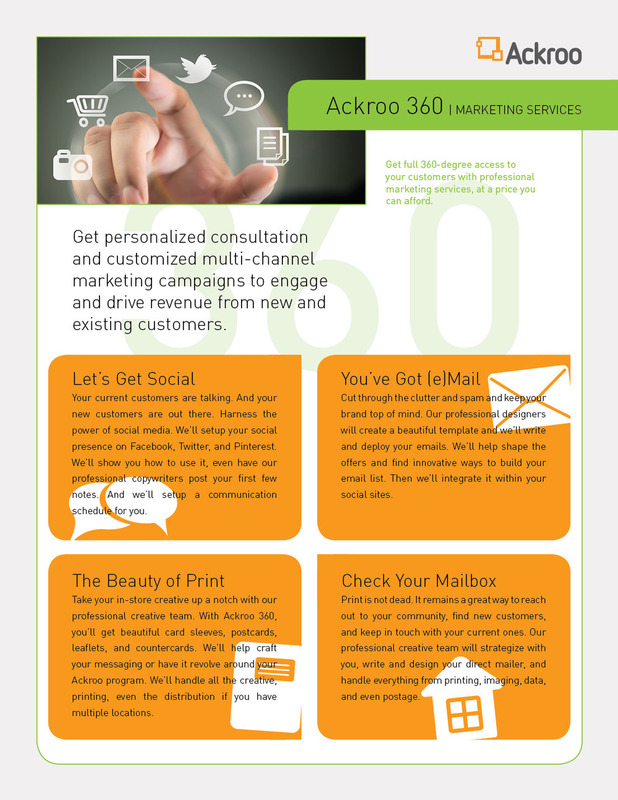 And with that, I setup the new marketing services: Ackroo 360. 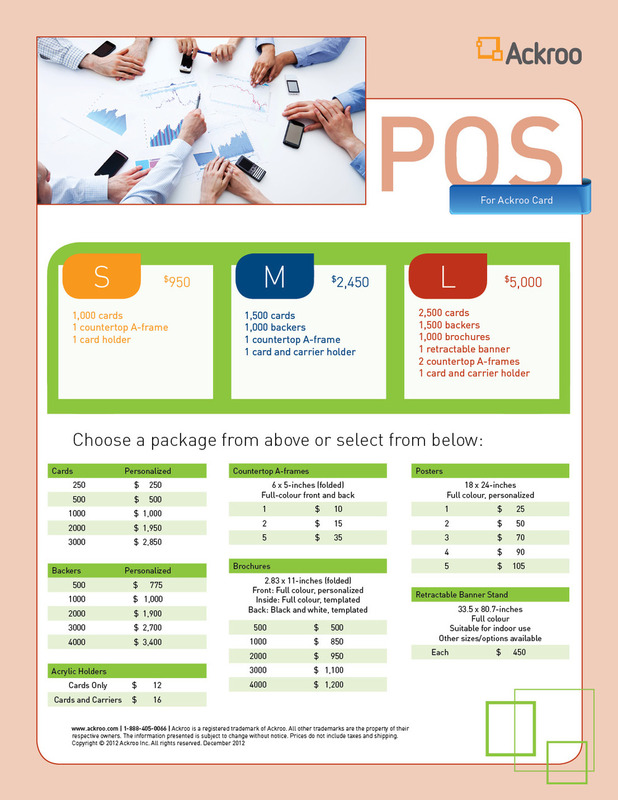 It encompassed promotional items, loyalty cards and accessories, social programs, and web services. 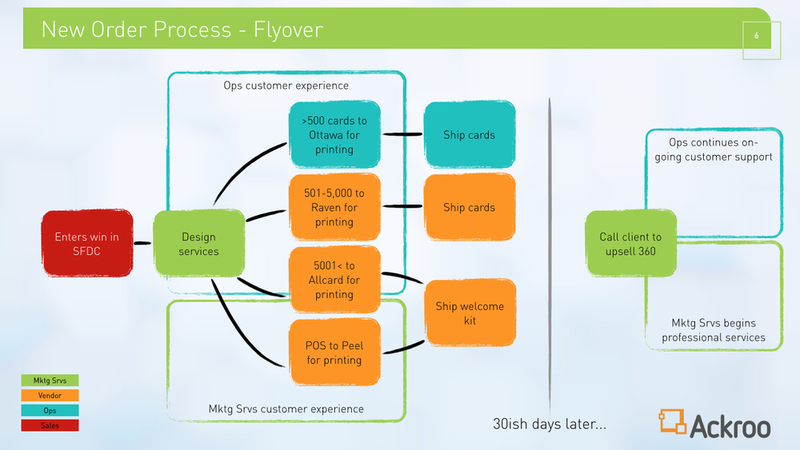 It was designed so SMB customers can keep their customers engaged engaged through in-store, online, email, mail, and text. I also worked as part of the leadership team to grow and craft the company's go-to-market strategy. 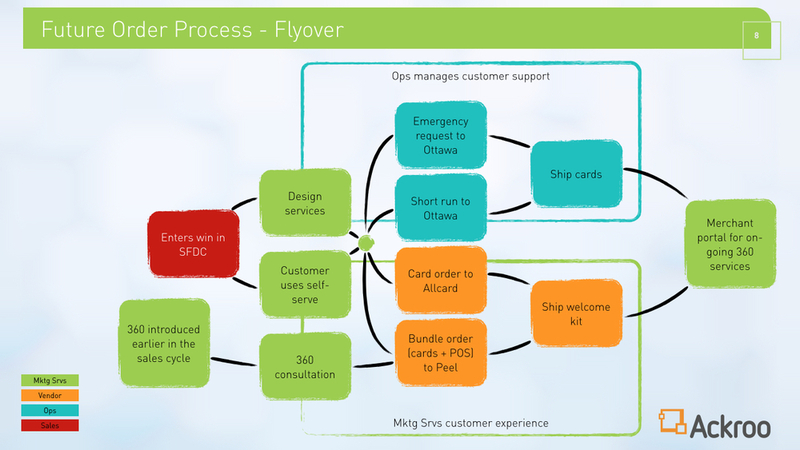 Using my operations background, I implemented refined procedures and an updated ordering system, restructured existing supply chain process, and consolidating vendors while renegotiating prices. This drove down company costs and increased profits by 23%. 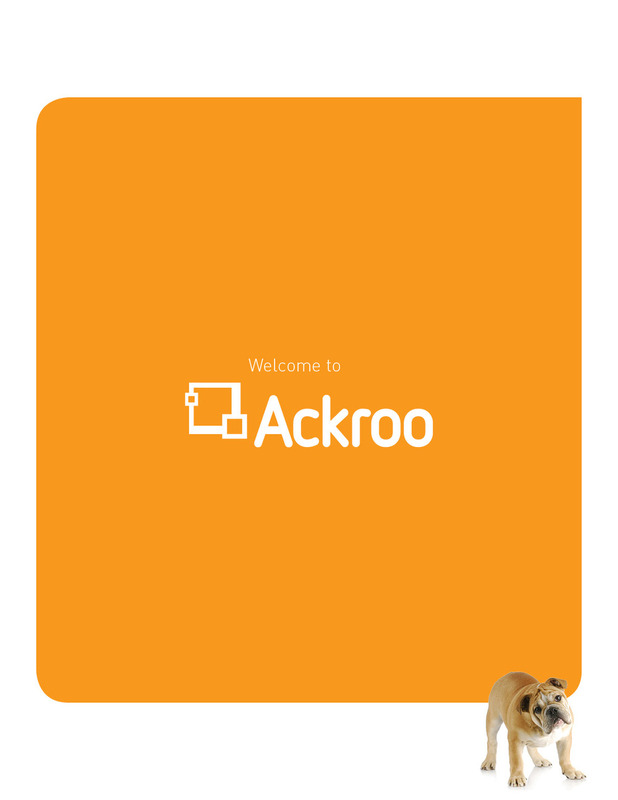 Whenever a new SMB would sign up for the Ackroo loyalty program, a scheduled welcome email would follow a few days after their program went live introducing them to the full-service Ackroo 360 marketing services programs. A sales rep would then follow-up with a phone call or in-store visit. 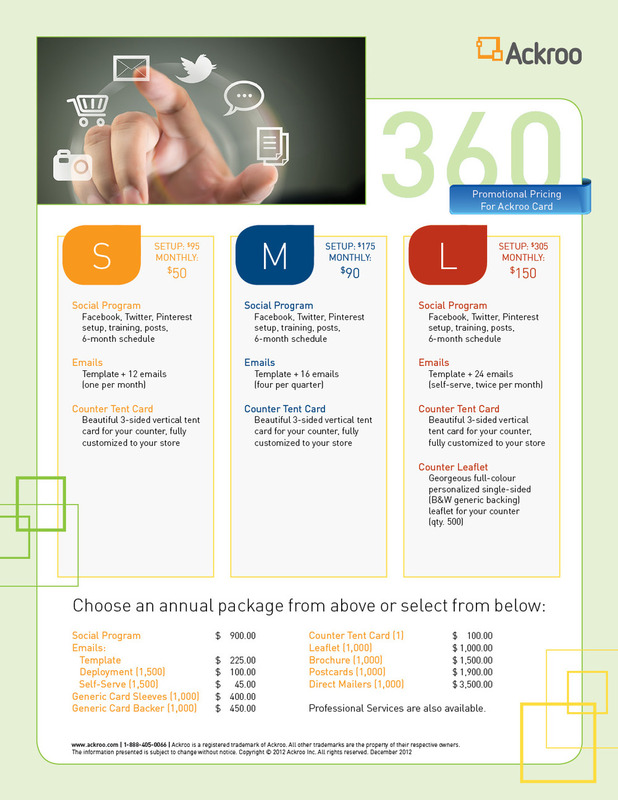 There were a number of services available depending on their industry and budget sizes.